If you’re anything like me, you’re constantly thinking about food and the next thing you’re about to eat. I embarked on a quest to find the best new snacks each month on grocery shelves (and major retailers), and there were so many options, it was hard to narrow it down. Scroll on to see what’s catching eyes on shelves recently, and make sure you mark down those that deserve a spot in your shopping cart. Cashews don’t naturally contain as much oil as peanuts and almonds do, so when you grind them up alone, it makes more of a sticky paste than a butter. 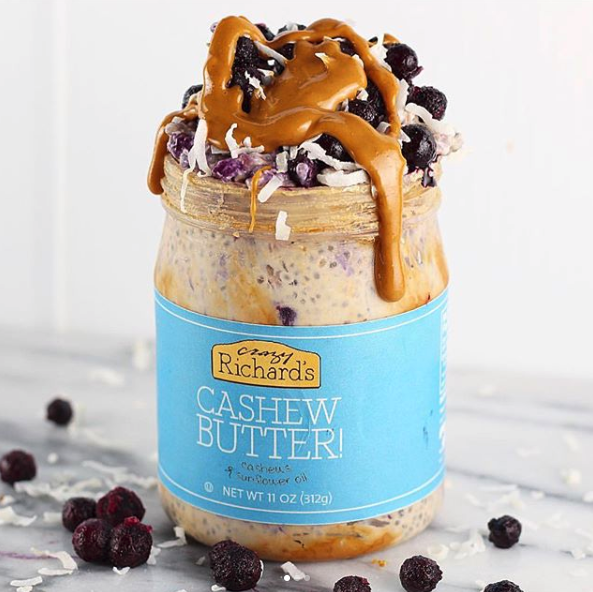 To make up for this, Crazy Richard’s added natural sunflower oil to help it reach that smooth spreadable consistency. Available at major retailers nationwide.